The first thing is, you are not alone if you have problems with anxiety. Anxiety and the level of anxiety can affect people differently, and at different times in your life. It can affect you, and the people around you, whether you are young or older, regardless of status, gender or what skill / job level you are, and is certainly not something to be ashamed of. You do not have to suffer in silence. Anxiety and the associated symptoms can be relieved and you can go back to feeling like YOU again. Through hypnotherapy and my coaching techniques, you will feel relief quickly, as anxiety symptoms can be alleviated effectively with 1 or 2 sessions. You will possibly need 2-3 more sessions to help you get to the root cause of your anxiety after that. I can also give you tips that can continue to help you manage anxiety for the future. I will also dispel any fears you may have about having hypnotherapy. During and after the sessions you will feel relaxed and confident. What is Anxiety or General Anxiety Disorder (GAD)? Anxiety is a natural, sometimes necessary part of life that can affect us all, and is fundamentally there to protect you from threatening or dangerous situations, creating the ‘fight flight fright’ response that you may have heard of. In a ‘normal’ situation, our feeling of anxiety allows our adrenaline to flow, to ready us for the right response, like running away from danger, or freezing on the spot to avoid walking into a dangerous situation, or fight our way out, then the anxiety level drops and goes completely as the adrenaline has been used for a good reason. It also helps with things like: taking an exam / driving test, public speaking, doing a performance, chairing a meeting, maybe asking someone out or standing up for yourself. You may feel you have butterflies in your stomach, a racing heart, maybe clammy palms and a dry mouth, but you can deal with it. There is also an ‘adrenaline rush’ you can get from excitement, like being on a roller coaster or achieving something great. Where anxiety becomes a problem, and can be known as General Anxiety Disorder (GAD) is when the anxiety is prolonged, or out of context with the situation, a lot of the time, and for those of you who do suffer, you will know it can affect your life quite markedly, putting you on constant high alert, which can be exhausting and affect your day to day living, and your sleep. You may think you are losing control – that you’re going mad – like you want to hide or run away – you feel on edge all the time – feeling detached from reality - feeling like you may die – utterly exhausted, due to continued state of alert and insomnia (lack of and poor sleep). A head full of negative self talk and being pessimistic and worrying constantly about what might go wrong. You may know the source of the anxiety, but sometimes you may not know at all. Does this sounds like you? Do you want help and support so that things change? Stress is something we all have experienced and is sometimes a part of our lives. How stress affects us, and how we are able to deal with it, is the difference between whether it is a problem for us or not. A little ‘stress’ can be healthy, like a deadline to finish a task, as it focuses and drives us to get it done. Sometimes being put under a little pressure or stepping outside of our comfort zone, enables our ability to problem solve and find creative solutions. 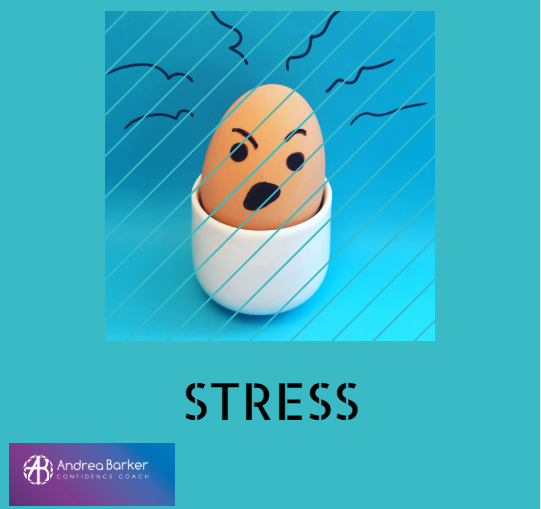 When stress gets out of hand, is when we feel overwhelmed and so under pressure with what is going on, feeling like we can not cope, or deliver what is expected of us, feeling unable to achieve deadlines that have been set. We can feel totally overloaded with what issues need dealing with, we can become emotional, frustrated, agitated, even angry, with everyday routine things becoming an issue and difficult to do, which in turn compounds our stress levels. We can normally identify the cause of our external stressors and if these are resolved the stress usually will be too, like pressure at work, traumas in our personal lives etc… Sometimes our stress is internal, like putting unrealistic expectations on ourselves, over promising and trying too hard to please others, with low self esteem leading us to doubt ourselves and our abilities, and a negative inner voice that criticises all we do, how we look, or what other people may think of us. DOES THIS SOUND FAMILIAR? ARE YOU FEELING LIKE STRESS IS TAKING OVER YOUR LIFE? I can help you manage your stress, external and internal using hypnotherapy. I can also give you coping mechanisms, like relaxation / mindfulness, helping you to feel relaxed and more confident, learning to be kinder to yourself, to relax and feel more able to prioritise your tasks and set realistic expectations and goals. How to step back and evaluate the issues or situations you face, enabling you to come up with creative solutions that suit you best.